The ever popular Gopak circular table folds flat for easy storage. 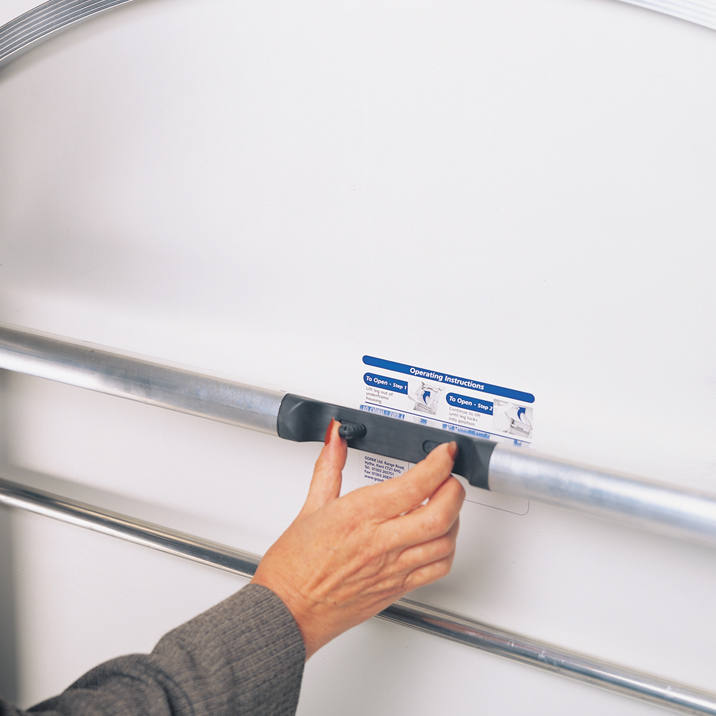 It features the simple and effective Posi-Lock folding mechanism. These strong and robust round tables can be folded down with ease enabling your space to be cleared with minimum of effort. Once folded, they are easy to manoeuvre by either rolling on the sturdy aluminium edge or carrying using the leg stay as a convenient hand hold. 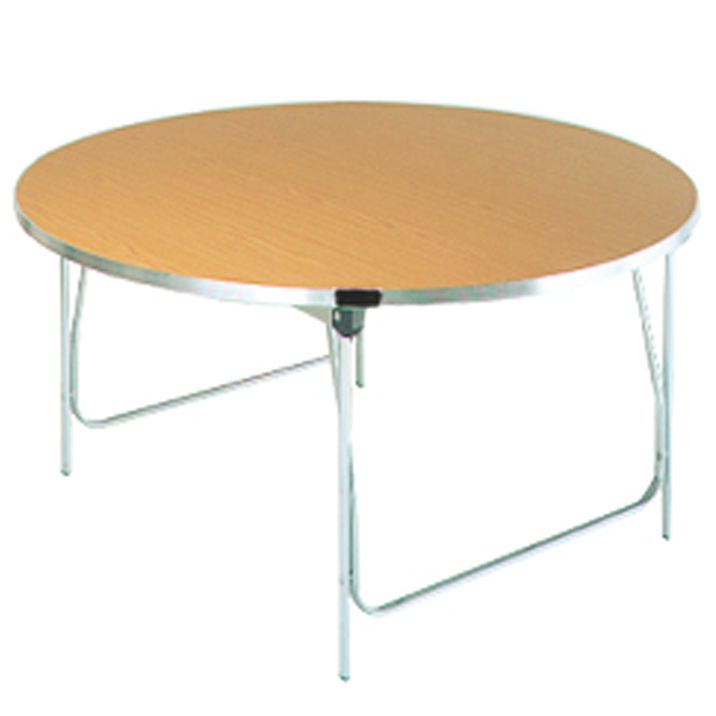 The 4ft diameter table is available in 5 heights to suit all age groups. 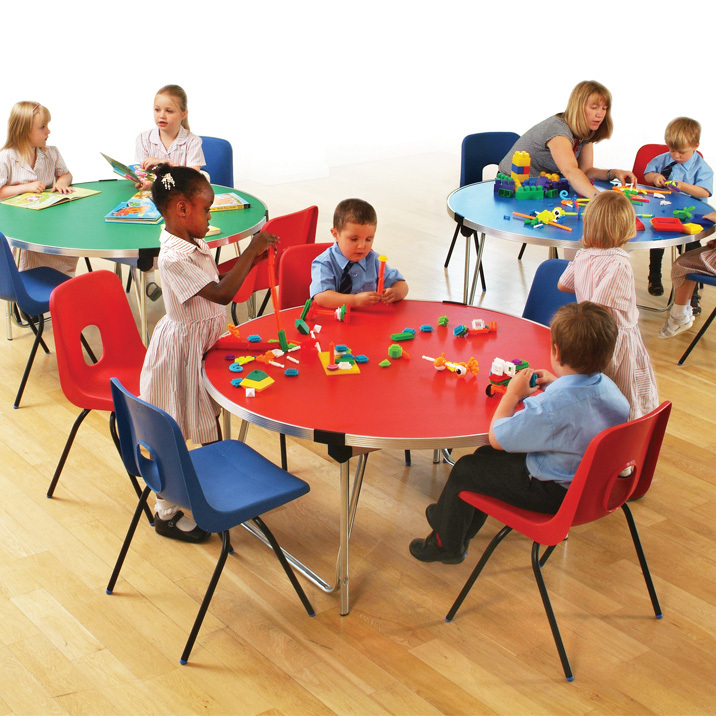 Ideal for pre-school groups where round tables are a favourite, or for meetings and social gatherings in an adult height. Available in a wide choice of wipe-clean laminate colours so that the table can be used with or without a table covering.